Praying Through the Arabian Peninsula is brought to you by many mission agencies from around the world. We are partnering together to seek to increase prayer for the Arabian Peninsula. This site also has a number of videos to help inform your prayers. It is the Vision of the Saudi Advocacy Network to lead the church around the world to dedicated spiritual, human, and financial resources to see a church planting movement among the Saudi Arabs. This church planting movement will see Saudis come to faith and walking in maturity with Christ. This movement will see Saudis start churches that will be self-directed, self-propagating, and self-funding. This movement will also see Saudis go out to the ends of the earth to invite others to follow Christ. Encompassed in this, we strive to see all Saudis have access to the Good News of Christ. We lead a prayer movement in the international church to pray to these ends. We support work among Saudi Arabs outside the Kingdom of Saudi Arabia. 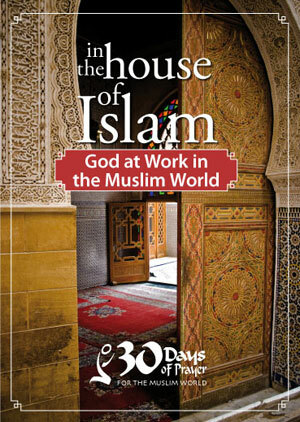 more than a quarter-million miles into every corner of the House of Islam to investigate unprecedented reports of multiplying movements of Muslims who were turning to faith in Jesus Christ. Garrison’s finding revealed that we are living in the midst of the greatest turning of Muslims to Jesus Christ in history. Where is this occurring? How is it happening? And why is it happening now? Raise funds that will aid the rescuing of believers from persecution. But the number one cause of persecution is people giving their lives to Jesus. We can’t stop that. It should remind us of II Timothy 3:12 “In fact, everyone who wants to live a godly life in Christ Jesus will be persecuted.” Typically on the first Sunday of November, Christians will be joining in faith with members of the Persecuted Church. You may find information about the Persecuted Church at Open Doors to help you become more involved. Christians in the Middle East and North Africa region have long been discriminated against, marginalized, detained, imprisoned, tortured and even killed for their faith in Jesus Christ. Those most at risk are converts from Islam. Often theirs is a silent suffering – cut off from family and Christian fellowship and vulnerable to abuse by State security forces and extremist groups. At Middle East Concern we believe that as Christians we are called to stand with those who are persecuted. Please visit our news page for prayer items. I Commit to Pray is a place to gather and pray for the persecuted church. Read prayer requests from around the world and post your own prayers specifically for your brothers and sisters who are being persecuted.